July 20, 2015|Posted in: Healthy, Beautiful You! There’s nothing like the feel of fresh green grass, a cool babbling brook, or soft warm sand between your toes! Going barefoot is one of the feel good treats of summer!! A treat for your feet!!! No more being imprisoned inside of hot, smelly shoes and socks, your ten little piggies are finally free to wiggle about in the warm summer sun! Now I know some people have feet issues. I have a nephew who refuses to ever let his feet come out of hiding and if someone else touches him with their feet he gets the heebee-geebees! A lot of people think feet are ugly. While that may be true for an unfortunate few, I like to believe anyone (or any feet??) that are clean and well groomed can be attractive – pretty even! Pretty feet are especially fun in the summer time. High heals and fancy dress shoes do indeed make feet pretty, but alas they are often tortuously uncomfortable. With summer footwear, that just isn’t so! It’s oh so comfortable and can feel almost like you’re going barefoot !! 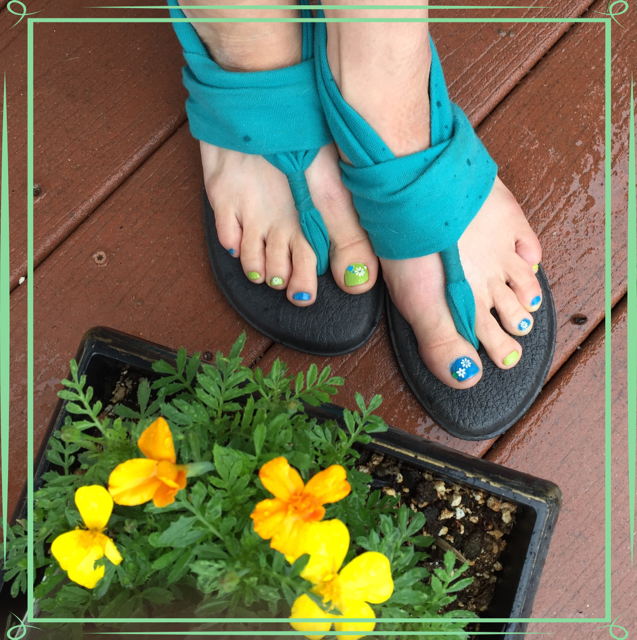 I love coming up with ways of making my feet pretty during the Summertime! 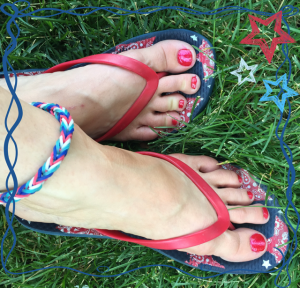 There are so many ways to “dress up” your feet! 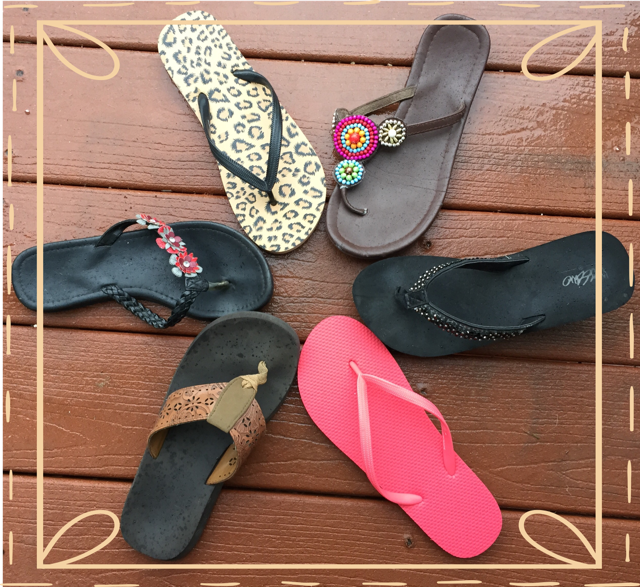 Pretty Flip Flops and sandals come in all kinds of colorful and creative styles, adorned with beads, seaquins, flowers and more. 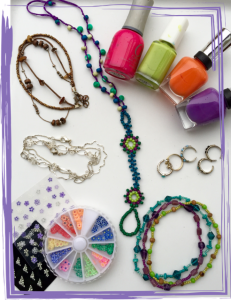 Nail polish can add an additional splash of colors to your toes! 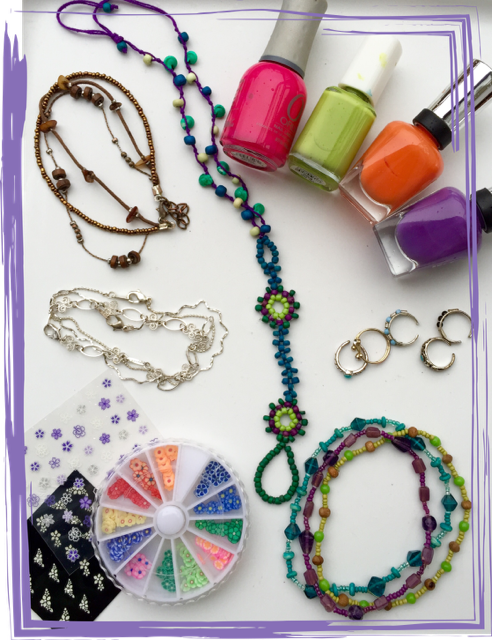 There are all kinds of crazy styles you can paint and stickers, decals and nail appliques will finish them off with a flar! 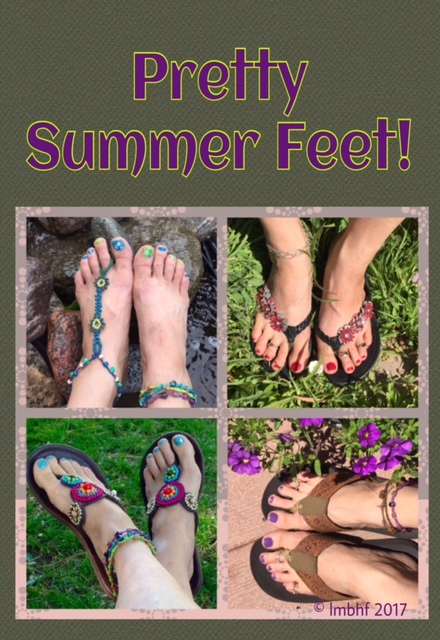 Don’t forget jewelry for your feet – ankle bracelets, toe rings and barefoot sandals. Here are some related products you might like. Click on the image or description to be directed to Amazon where you can purchase these items. Those blue sandals are lovely! Are they super comfy?? Yes Heather, they are super comfy. I just got back from a mile walk to the park and back wearing those sandals and my feet feel great! Such a cute layout and concept. Great length of post too. Nicely done. Love it! Those beads turned out so beautifully! Free the feet!!! Ok, now I need to paint my toes! I love cute summer feet! Also, I need to add to my sandal collection ha ha! Tamara, sounds like you better head out shopping for some new sandals! Gotta have a good collection! Sandals and bright nail polish is my go to for summer! Right Leah, they’re the best! I love those real flip flops you’re wearing! I’m an obsessive pedicure getter! Can’t stand in manicured feet! Thanks Cori! Pretty feet are the best! Cute post! I feel half dressed if my toes aren’t painted. I love these fun colors! I used to be all about the nail polish and toe rings! I haven’t done any of that this summer yet, but really should! 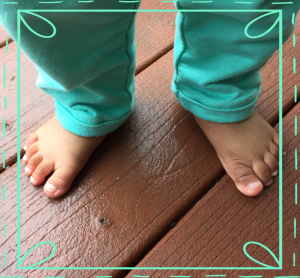 Last summer I couldn’t actually reach my feet because I was in my third trimester, I don’t know what I am waiting for this year! I prefer bare feet at all times, unfortunately living in Maine that isn’t possible most of the year, but when summer comes, all bets are off! A lot of the year here in Utah we can’t go barefoot either. I agree though, barefoot is best! !